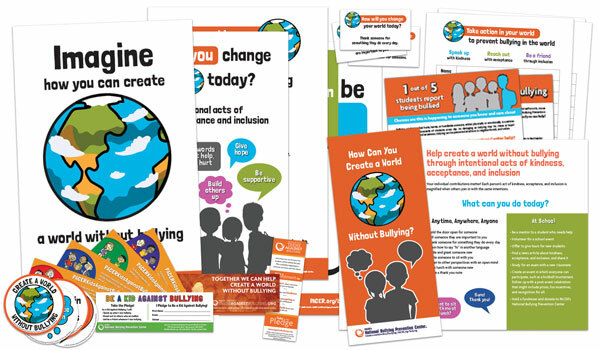 The Create a World Without Bullying event kit is designed so that any student can set up a display with print resources to educate and engage participants about steps each one of us can take to help prevent bullying. This kit is a creative way to hold conversation with other students, provide them with ideas to prevent bullying, and share with great give aways. Get a close up look at the resources included in the event kit. Event Kits are $50 (includes shipping).